When starting a blog, one always has a long list of ideas and plans to execute. Unfortunately, life sometimes gets in the way. So that is the main reason why this post, which should have been scheduled for January, is just now seeing the light of day. However, in my busyness/procrastination, a new thought came to mind. More often than not, the first few listens of an album tell you what you need to know. But every once in a while, a second look can open up your eyes and ears to a view you didn’t have previously. So I wanted to try something different this time around - giving myself some time to really dive into the material. 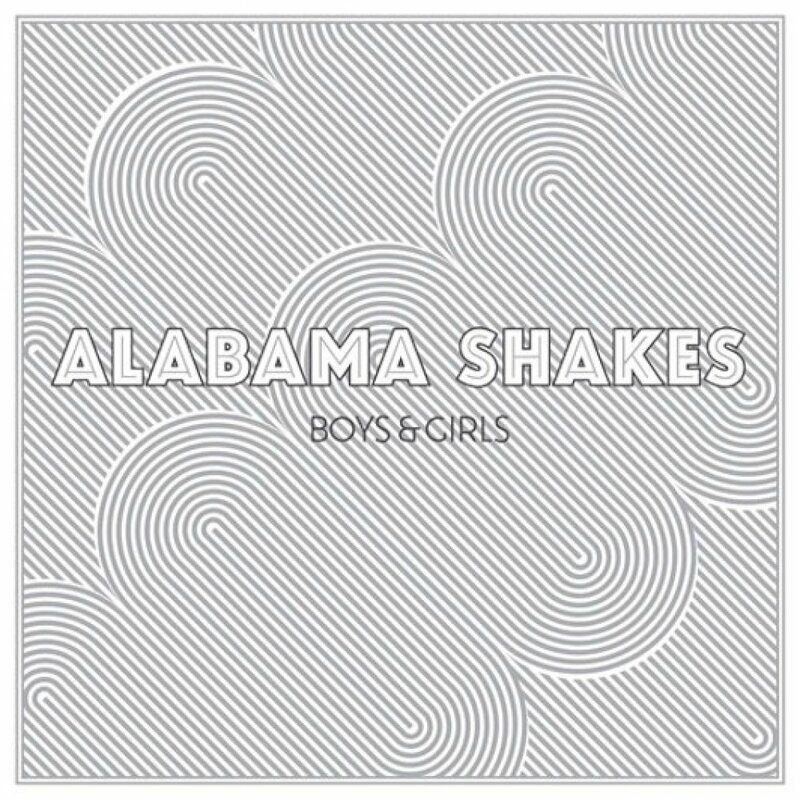 The review of my pick for the best album of 2011 will come six months after its release. Back when Mylo Xyloto first entered my life. Call it love at first listen. The first time I stuck my headphones in my ears and let all 14 tracks found on Mylo Xyloto play the first time, I could do nothing but smile. But to fully understand how I got to that point, we must first go back a few years. I was late to the Coldplay train, but when I arrived at the station I rode that thing non-stop. My first introduction didn’t come until after X&Y, but in the months that followed I immersed myself in all things Parachutes and A Rush of Blood to the Head. In the time that passed, “Yellow” became (and remains) my favorite song of all time. But it was the range of emotions I could feel from Chris Martin and company (“Talk”; “Warning Sign”; “Clocks”) that made me become a full-fledged fan. Then Viva La Vida came into the picture and I was able to witness my first Coldplay concert. That night will forever go down as one of the best of my life (no exaggeration), even though VLV remains my least favorite Coldplay album, though it was still a solid release. I give that background for two reasons: one) so you know upfront where I’m coming from as a Coldplay fan and two) to address the “old/new Coldplay” comparisons I’m going to have to bring up later. After rolling out the marketing campaign for the band’s fifth studio album, Coldplay released “Every Teardrop is a Waterfall” in the summer of last year. It was a unique release, as the lyrics were revealed before the actual song. Turned out the mood of the song was nothing how I pictured it after reading the lyrics, and I wasn’t alone. ETIAW was met with mediocre reviews and doubts about the album began to sneak in, even after the booming bliss of "Paradise." Namely it became - what kind of direction will the band go in? Martin had hinted in earlier previews that the album would be mostly acoustic. Another report was that it would follow the story of the couple first portrayed in “Wedding Bells,” a song that Martin played at an Apple event that was never officially released (though some feel the track “Christmas Lights” that was released in December 2010 is the finished version). Some of the clips of unreleased songs made thier way to youtube as they were debuted at concerts. 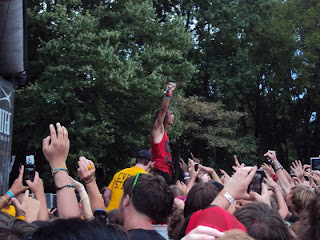 I was able to catch some of them myself when I attended the Music Midtown festival in Atlanta in September 2011. It was the first time I heard “Hurts Like Heaven” and everytime I listen to the track now it takes me back to that moment. Same with “Charlie Brown” and besides a few plays on the radio it was also the first time for “Major Minus.” This concert was outdoors, in the dark, and set to an imagery of lasers and fireworks spectacles that made for a fantastic experience. I’m honestly not sure if I would love Mylo Xyloto as much if not for that concert. It completely changed my mind on “Waterfall” and I can practically feel myself back in Atlanta when I hear certain songs. The new tracks I hadn’t already heard upon my first listen included “Don’t Let it Break Your Heart,” “Princess of China” and “U.F.O.” I know the guest vocals of Rihanna were met with criticism, but I feel the two artists truly completed each other on Coldplay’s first song on a studio album that included a guest appearance. So, can fans who hold on to Parachutes as the defining Coldplay album come to love Mylo Xyloto? The answer seems to be... maybe. Some will like it, some will want the band to stay with the tried and true basic piano and guitar sound - the one that defined them. My take is this: The sound on MX is different than the previous albums, yet it’s still the same at its core. Heartbreak, inspiration, hopelessness and hopefulness - Coldplay have always intertwined these settings in all of their music and they do it beautifully with their latest effort. The one request I have to fans is to not knock it until you try it - you may find out that some of the themes, though presented much more stylistically, are still there. Going in to making my list for the best albums of 2011, I had to step back for a minute with MX. I admit my bias so I needed to figure if it really was the best, especially in a year in which so many big names released material. And the answer, at least for me and in my own personal opinion, was yes. Mylo Xyloto is a five-star album from beginning to end and is an experience throughout the whole thing, an attribute that is rare nowadays. 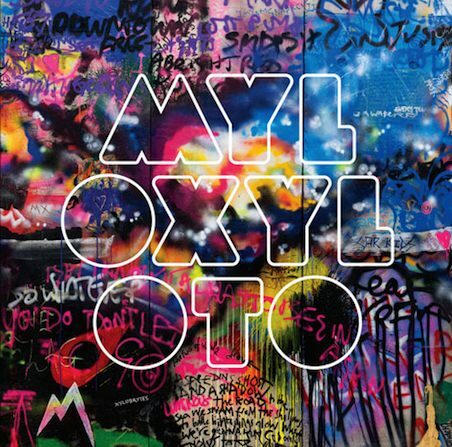 As much as a lot of people think otherwise, Mylo Xyloto is not that far off from the band’s previous records. And I know I’m in a lesser opinion when I say this, but I truly believe the band focused all of their talents into making the biggest and most colorful album of their discography and (one of) the best in their career. In the early part of this year, I was washing clothes and to pass the time I was flipping through the pages of Rolling Stone magazine. In the first few pages of this particular version, there was a piece spotlighting lesser-known artists. 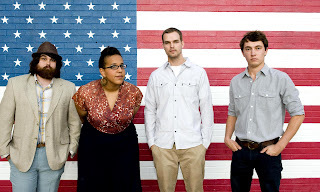 The name of one band, Alabama Shakes, caught my attention because it contained the state I reside in. I don't remember details of what the writer said, but I remember there being praise for their live performance. I remembered the name but didn't think much of checking them out because I wasn't sure if I would like their music. And that turned out to be a big mistake. 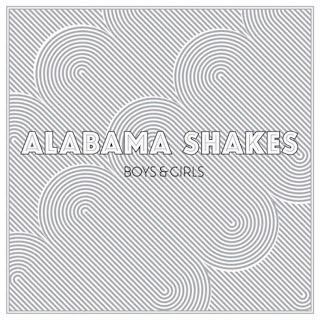 A short time after reading that article I saw that Jack White's Third Man Records label was putting out a live release of Alabama Shakes. Admittedly, I became intrigued in a "Well, if he likes them I really need to check them out" kind of deal. I spent the next few weeks obliterating the replay button on any videos I could find featuring the band on YouTube. At the time, they only had a four song EP out and I kick myself for not picking it up because it is no longer available. It contained four tracks: "Hold On," "I Found You," "On Your Way" and "You Ain't Alone." It was a small sample, but it was just enough to show that the band had all the ingredients to make them stand out. For one, the music doesn't pigeon-hole itself to one genre, but it's not all over the place either. If you had to describe it with musical tones, maybe the best would be classic bluesy southern rock for the 21st century. The EP left me and a plethora of other fans (including Hayley Williams and anybody who has had the chance to see them live) waiting for the release of a full length album, which came just a couple weeks ago. There were fears that the album wouldn't live up to the hype, which is crazy when you think about. Most bands breaking in have to spend years touring on a debut album before you start to get recognized, but the Shakes seemed to be working in reverse. Those fears were gone not even ten minutes into Boys & Girls. A non-EP song doesn't make it's debut until track 3 but the presence of "Hang Loose" is definitely felt as the band turns it up a notch. "Rise to the Sun" and "Heartbreaker" are also stand out tracks that show the vocal range of Brittany Howard, who is clearly the star of the show. It's too early to tell if that's going to be a detriment to the band as a whole, which would be a shame because the three guys rounding out the Shakes are obviously talented. But Howard pulls you in with the strain in her voice and her storytelling, even namedropping herself in "Hold On." An early favorite for me was "Be Mine" where an F bomb is subtly dropped toward the end of the second verse, the only time the band takes the vocals beyond a PG level. But it's used so well that it only gets you even more wrapped up in the song. A lot can be said that in an 11-track album there is only one weak song, "Going to the Party." Even more can be said that its main weakness is its length, clocking in at just under two minutes. But in the grand scheme of things it serves as sort of a breather in an album full of powerful tracks. 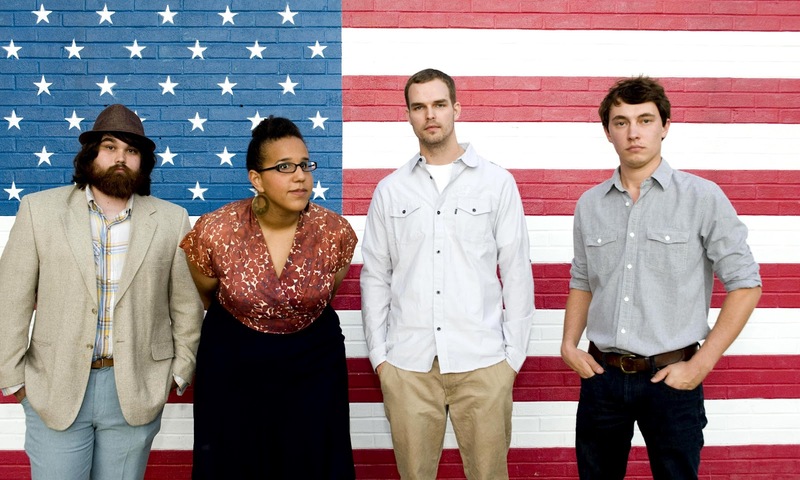 Part Janis Joplin, part Black Keys, part Otis Redding and part Led Zeppelin (click the text for an amazing cover), The Alabama Shakes combine similar sounds to make a whole new one themselves. From beginning to end, Boys & Girls is an album that you absolutely feel when you listen to it, which is rare in music nowadays. Also, admittedly there is a bit of bias because the band resides only a couple hours from where I live. When "homestate" artists get on a national spotlight, it's vital to support them. It's nicer when those artists are this amazing. So if you haven't already, pick up this album and prepare to go on a musical journey. You won't be disappointed. The announcement of one of my all-time favorite bands returning to the annual touring carnival of music known as The Vans Warped Tour was all I needed to hear. I immediately texted my PIC (partner in concert) and told her that we would be making a comeback. The reason why I use the words “return” and “comeback” is because after Warped Tour 2010, I thought I was done. I had a good time, but the show seemed to be going through a transformation since my first stop in 2005 (and that was ten years after the tour’s inception so I can only imagine how it has changed in its near two decades of existence). The question I had to ask myself was this: Had Warped Tour truly changed or was I just getting older? No matter what decade it is, 18-year-old kids will still be under the influence of different artists than their 23-year old college selves. Hell, I can only imagine the music I will be listening to in another five years. 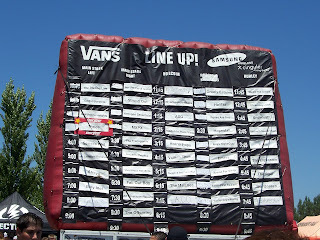 However, what I personally enjoyed about Warped was still there: the fact that for the price of admission to a regular club show headlined by one band and featuring maybe two openers, you get your choice of damn near 50 bands spread out all day. Granted, some artists would be at the same time - forcing you to choose - but making those sacrifices was half the fun. I’m not one to knock any kind of music in the sense of saying it shouldn’t be included because I truly feel if someone likes what you play then go ahead and keep playing it. But what I can say is that I was ready to stab myself in the eyeballs while sitting through the performance of Iwrestledabearonce. And my problem with that is similar bands were becoming more common. Unless it was just me being single-minded, the variety was gone. Now don’t get me wrong, I’m not against ALL the screaming/singing music - just most of it. When your band name revolves around friends being on fire and your songs are a hot garbage consistency of throat vomit, your music is not for me. But if you have some talent behind your act (Underoath, Chiodos, Pierce the Veil) then the show is nine times out of ten a good one. PTV is just one name that is bringing me back. 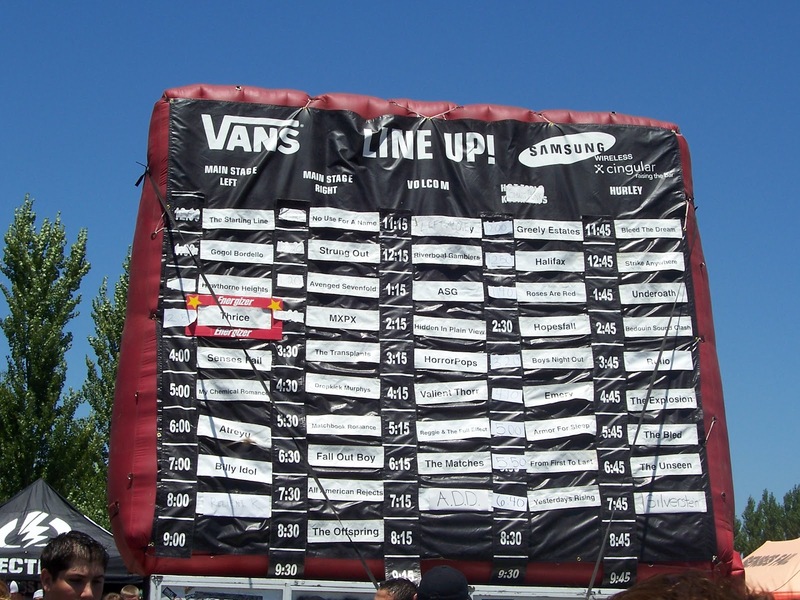 Warped Tour ‘12 is going to feature New Found Glory and Yellowcard - two bands from my high school days that I have yet to see live. 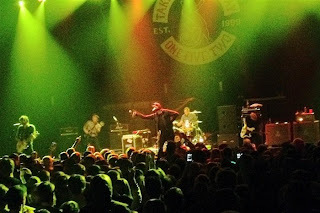 However, it was the announcement of Taking Back Sunday that made this year’s stop go from a “maybe” to a sure thing. It’s fitting that Taking Back Sunday is bringing me back to this tour considering the parallels between the two. TBS exploded on the scene in 2004 with Tell All Your Friends, then went through massive lineup shifts before returning to the members who produced that classic for their self titled release last summer. Ironically, with my first Warped experience coming in 2005, it came just after I started heavily getting into Taking Back Sunday. (Yes, for you purists out there - I didn’t become Team TBS until after the second album. But I’m still a fan so take your hipster criticism elsewhere). Since that time, I’ve gone on to be slightly disappointed by offerings from both - 2009’s New Again; deciding to skip last year’s Warped altogether - but the spark of the two together is enough to entice this writer to give that crazy tour one more chance. So this is me telling all my friends that Warped Tour this year is where I want to be. Will you be there too?